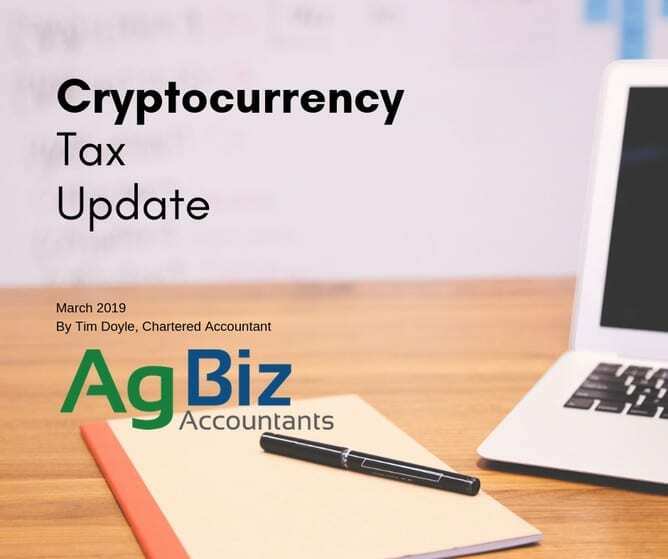 Cryptocurrency tax is currently being reviewed by IRD and different tax interpretations, such as financial arrangements are being applied and discussed. Financial arrangement tax treatment may apply to some cryptocurrency tokens and will depend on the specific characteristic of each individual token. We have summarised cryptocurrency tokens into four distinct categories and discussed how financial arrangement tax treatment would apply to each category of token. Each tax payer’s wider cryptocurrency activity also needs to be considered when interpreting their overall position. Individualised specific advice is recommended. IRD have maintained the position that cryptocurrencies have no special tax rules and existing legislation will apply. They do concede the technology is both novel and rapidly evolving and the application can be difficult. We do not expect any material changes to our calculation methods provided that the taxpayers are cash basis holders and their cryptocurrency portfolio has a market value of less than $1m throughout the entire year and the unrealised gains or losses are less than $40k pa. There could be changes to those who hold cryptocurrency on capital account. Financial arrangements make no distinction between capital and revenue, and the increase in the value of capital tokens could be taxable income. These guidelines have not been published by IRD yet. This is only our interpretation and opinion. We will also be providing feedback to IRD on the proposed changes. These tokens are not backed by anything and do not provide the holder with any rights; they are used as an exchange for money, goods, services and other cryptocurrencies. They can also be held as a speculative investment. Examples include Bitcoin, Litecoin, Dash and Bitcoin Cash. We have previously discussed the tax treatment of intrinsic tokens and how taxable profits or losses are calculated. Utility tokens provide rights to access, operate, use or control a platform or other property or service. The token holder involves an agreement between the token issuer and the token holder that the token may be used as payment or provide access rights to services in the future. It is arguable that this could meet the requirements of a financial arrangement. Examples of utility coins are filecoin, NEO, or EOS. Under financial arrangement rules both the trading income and unrealised gains or losses would be included as taxable income for the taxpayer. Unrealised gains and losses can be calculated using different methods but must be applied consistently across all financial arrangements. The calculation methods are beyond the scope of this article, however, there is a market valuation method where the closing market value can be accurately measured at the end of the financial period. For example, John buys 2 ABC token for $100 each ($200 total), then sells 1 for $150. At the end of the financial year, the remaining ABC token is worth $175. John’s trading profit is $50, and unrealised profit is $75 resulting in combined taxable income of $125 for the year. Trading losses and unrealised losses are allowed as deductible expenditure. Asset tokens are like utility tokens, except they are backed by an underlying external, tradeable asset such as fiat currency, precious metals or real estate. An example is Goldmint. If an asset token gives rights to an underlying commodity in the future it may be a financial arrangement. Asset tokens that derive value from an underlying asset but are not redeemable for the asset are not financial arrangements, (such as a stable intrinsic token). If asset tokens are financial arrangements, they would be taxed like the utility token example outlined above. Security tokens represent ownership or control of a financial asset. These can be viewed as owning a share or debt owed. They give rights to income (interest or dividends). An example is tZERO. Because they provide a future right or payment, they are likely to be considered financial arrangements. This is because there is an agreement between the issuer and the holder that the holder will provide “money” to acquire the token and will receive rights to “money” in the future. Security tokens are financial assets and we calculate the profits and losses under financial arrangement rules. Why are cryptocurrency tokens considered financial arrangements? The token provides the holder with rights to acquire services in the future from the token issuer. The holder is paying money now to receive the token that can be used in the future to acquire services. How are financial arrangements taxed? They require taxpayers to account for unrealised gains or losses over the term of the arrangement. There is a wash-up calculation (base price adjustment) when the rights and the obligations cease or when the tokens are disposed of. A cash basis person is not required to apply a spreading method to a financial arrangement unless an election is made to do so. The value of all financial arrangements on every day of the income year does not exceed $1m. The difference between the accrual (unrealised basis) and cash basis cannot exceed $40k for the income year. 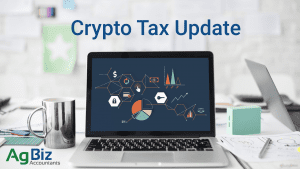 With large fluctuations in cryptocurrency prices, some taxpayers will become subject to financial arrangement tax rules if their unrealised gain or loss is more than $40k pa. Understand the type of token you are purchasing. If you are holding coins on capital account, consider that if cryptocurrency is taxed under the financial arrangement rules all increase in value will be taxable income. Calculate your 2019 tax obligation early, so you are aware of your tax position and upcoming tax obligations. Contact Tim Doyle, of AgBiz Accountants, today for a no obligation phone call or meeting on 07 823 4980 or email Tim. Our office is in Cambridge, NZ, but distance is no problem. We have many international and national clients.